As Fly Jamaica prepares to make its final approach into the Guyana market, the carrier is rolling out fares that it believes will be very competitive for the Georgetown to New York route. Commercial Manager at Fly Jamaica in Guyana, Junior Horatio on Friday told News Source that “prices on Fly Jamaica are going to be affordable and the Guyanese customers are going to benefit from Fly Jamaica’s pricing. He explained that like with any other airline, the prices will vary on the availability of seats. The airline is currently offering fares beginning at US$289 one way to New York. That fare does not include taxes. The airline will begin its Georgetown to New York service on September 26, 2013 with twice weekly flights. All of the New York bound flights will stop in Kingston, Jamaica while one of the return flights will be non stop. Flights between Georgetown and Toronto, Canada are set to take off in October. Mr. Horatio explained that the airline is taking the Guyana market very seriously and is currently training several Guyanese who will serve as cabin attendants. Additionally a number of other persons have been hired to serve as reservation agents, and the airline will also launch a 24 hour customer service call centre. The airline is still pursuing the possibility of non stop flights from Georgetown to New York. A number of U.S based airlines had objected to Fly Jamaica and Caribbean Airlines operating non stop flights between Georgetown and New York because both carriers are registered in countries other than Guyana and the United States. Fly Jamaica which is co owned by a Guyanese company is registered in Jamaica. Despite that setback, the airline is getting set to take on the friendly Guyana skies and airline officials believe that the stop over in Kingston, Jamaica will open more travel between Guyana and Jamaica. Horatio said Guyanese and other Caribbean travelers will now get a schedule non stop service between Guyana and Jamaica. 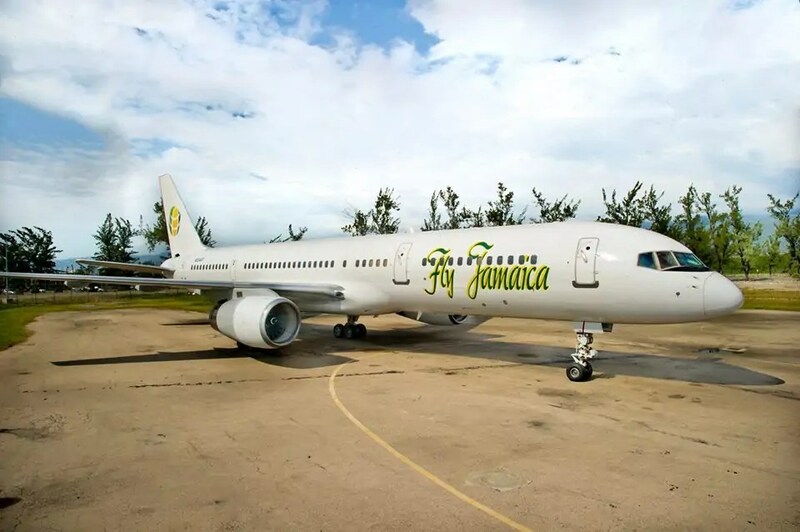 Fly Jamaica was launched in February with its non stop service between Jamaica and New York. The carrier has gotten good reviews from passengers and officials are convinced that its warm Caribbean service and affordable prices will pull Guyanese on board to Fly Jamaica. The airline’s Guyana operations are headquartered at Ogle. Travel agents have already started to reserve and sell tickets for the Georgetown route. 3 Responses to "Fly Jamaica offering US$289 one-way NY fare"